Our prices are great. Our customer service exceptional. 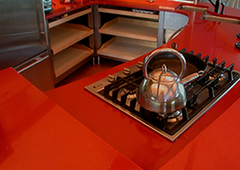 If you're in the market for new, custom countertops in Maine, you've come to the right place. Custom Edges : Bevel, Bullnose, Demi Bullnose, Double Bevel, Eased, Standard, Ogee, and more! Removal and disposal of old tops, sink, dishwasher and cooktop. Installation of new custom granite tops, sink, faucet, dishwasher and cooktop. Full line of Care Products and Stone Care Guide for proper maintenance of countertops, table tops, vanities, etc.